Then, click ‘Save changes’ and your environment will begin updating. Remember: if you edit your disk size, you will have to partition your hard drive accordingly. 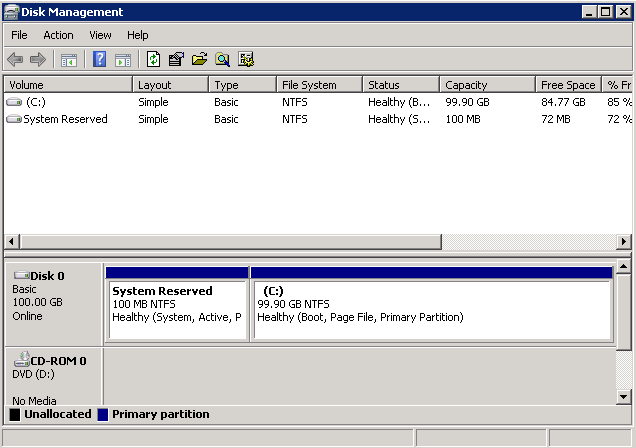 Finish the process and you will see the extra space assigned to your main partition. Finally, take a snapshot to ensure your new settings are saved. Trying to resize a partition in XP / 2003? Once logged into Windows, install a great free tool: Dell's Extpart. Type 'cmd' and click OK to run the command line utility. Change directories to c:\dell\ExtPart or the location the utility extpart.exe was extracted. [size] is the size in megabytes by which to extend the volume. What about resizing in Linux? There are different options available for resizing a HDD in Linux. There is an excellent guide located here. Consider the first step, 'How to expand disk capacity for vmware linux virtual machine' already completed when you add disk space from the CloudShare UI. Alternatively, you can use Parted or a similar application. Here are some instructions for modifying Linux partitions. 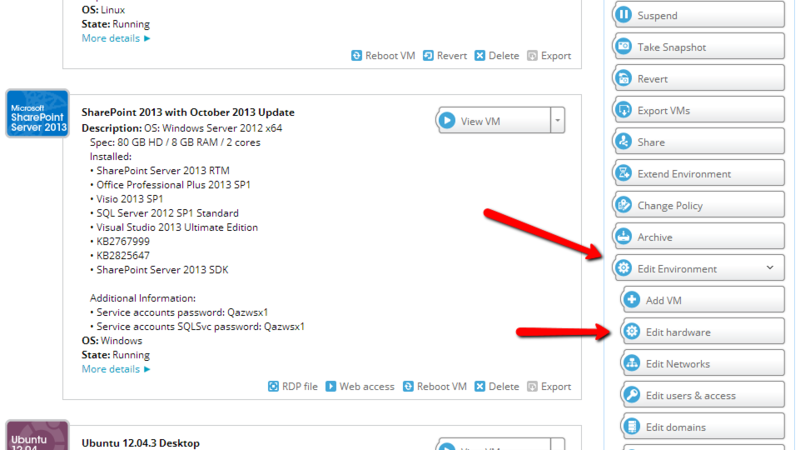 First you must use the edit hardware option in the CloudShare Dashboard to increase the hard drive size as above. Interested in learning more on LVM? Hello Scott. What about the Windows Server 2012? Thanks. Ah, the same command: discmgmt.msc. Sorry for disturbing. Would you add a link on this page, perhaps under "Related Topics", to a page that describes how to ADD an additional disk to an environment, not just increase an EXISTING one? 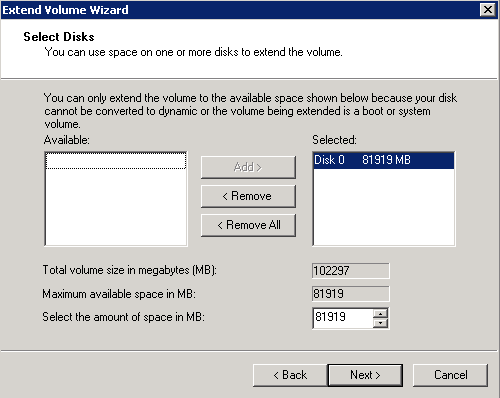 For example, how do I add an additional Windows disk, say as the D:\ drive, to an existing Windows Server? @ Fred, here you go! May I suggest to look at /etc/fstab to see the filesystems<->logical volume mapping and avoid messing with your VM ? And don't forget to expand the filesystem as well, not only the logical volume.